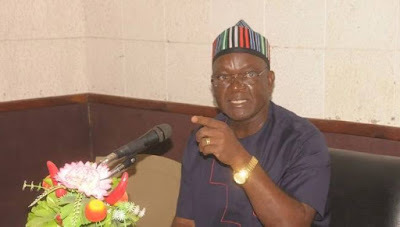 Benue State Governor Samuel Ortom yesterday alleged that the Economic and Financial Crimes Commission had become a department in the All Progressives Congress. The governor also accused the anti-corruption body of being biased in its fight against corruption. He spoke at the swearing-in ceremony for nine new commissioners who replaced those sacked in August. He also said that his administration could now pay workers’ salaries as and when due because he had detached himself from godfatherism. Ortom said since he left the APC for the Peoples’ Democratic Party, he had fared well in salary payment as he was no longer under undue “pressure” to satisfy the caprices of certain ‘men’. “There is no godfatherism again in Benue under my watch. That is why you can see that since I detached myself from godfather, even salary I have been able to pay as at when due. I’m seeking for other ways in offsetting the remaining arrears of salaries. “Since I left APC, I have been paying salaries. In APC, godfathers will not allow me but now I’m a free man,” he said.